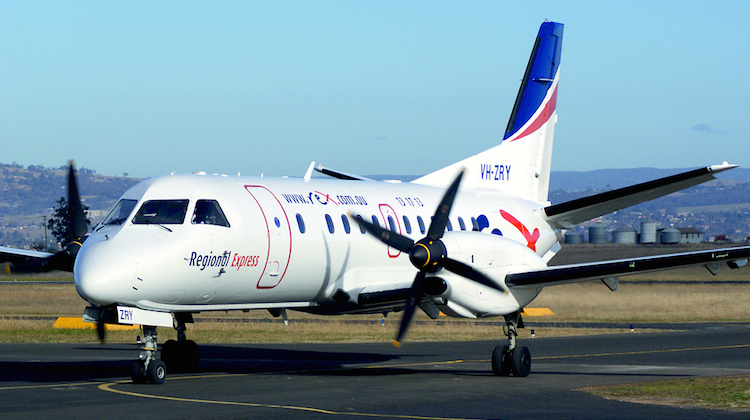 Regional Express (Rex) looks set to begin operations in Western Australia in 2016 after being named as the preferred tenderer for two WA government-regulated routes – Perth-Esperance and Perth-Albany. “Subject to final negotiations, Rex will enter into a contract with the Department of Transport to operate the routes for the next five-year licence period commencing 28 February 2016,” Rex said in a statement to the Australian Securities Exchange on Friday. Currently, Virgin Australia Regional Airlines (VARA) serves Albany and Esperance with 46-seat Fokker 50s. However, the company did not bid to continue those flights in the current tender and planned to dispose of its fleet of eight Fokker 50s. VARA’s last flights to Albany and Esperance will be on February 27 2016, when its current contract with the WA government ends. Virgin Australia chief executive John Borghetti said those flights were losing money. “The losses, frankly were just too big,” Borghetti told reporters during a media tour of Virgin’s new home at Perth Airport’s Terminal 1 Domestic Pier on Friday. State Minister for Transport Dean Nalder said Rex had indicated it would increase flight frequencies and seat capacity on both the Perth-Albany and Perth-Esperance routes, compared with the existing service. “The airline’s substantial experience, customer service and efficient transport operations are highly regarded,” Nalder said in a statement. The Minister’s statement said the Department of Transport was “still exploring options with the industry on the Perth-Carnarvon-Monkey Mia, Perth-Derby and the northern Goldfields air routes”. “An announcement about these routes is expected soon,” the statement said. And what aircraft are Rex going to use??? no more Saab 340s are come and their existing fleet are stretched so thing across existing RPT services and QLD government funded routes. It’ll be a cluster….. Excellent, just what the people of Albany and Esperance need. Smaller aircraft with no air-cond on the ground and an operator with a remote base and limited engineering support. Wonder what will happen when the Saab goes U/S? People will miss their connecting flights as the operator will have limited spare parts or extra aircraft capacity to fill in! Bet the existing Perth operators will be unwilling to help. Well done DOTARS! Sure you are going to make yourselves very popular with this one! R, Rex seems happy to buy used SF340s. They’ve picked up quite a few on the used market in the last few years. Maybe they’ve got their eye on a few more? Would an EMB ERJ 135 or 140 be better? It could fly approx the same about of passenger as the SAAB 320 but almost double the speed and 12,000ft higher. Also it would be a new aircraft and would have AC on the ground. Newer aircraft providing a better passenger experience and can fly faster higher while carrying teh same amount of passenger or even more. I don’t know the operating costs of each aircraft but would love to know. Rex took delivery of another SAAB 340B N416XJ (to become VH-?) at Adelaide on Saturday. Understand another is to come. For the Perth routes? There are things called aircon carts and single engine turn a rounds. People are always so negative. There are Five SF34 on the way for the new runs. Just be thankful that you will at least get a service now that Virgin pulled out. Well it was never going to end well for EPR and ALH. Virgin completely stuffed it and they know it. WA DoT are also complicit and contributed nothing (Zero, Nada, Niks!) to support the routes apart from provide plenty of lip service and the Minister just spews out the crap he is fed by the lackies who are afraid to tell him the truth. Simple. The SF340’s will be hated by the locals and yes there will no connectivity no arriving in a decent new terminal and as others have mentioned the on time performance will be abysmal if Rex don’t have plenty of back up. And the Pollies will have a field day bagging the new entrant, sure they will give them some rope at first but watch out!! A lot of you are so negative. Virgin are pulling out, they are using old F50s that should have been retired years ago. The Saab has proven an ideal aircraft for these kind of secondary routes and Rex has a proven track record in this type of operation. Give them a go before you all start canning the change. Well said Ian, and it wont happen overnight, but it will happen. Fantastic. So Skippers the local operator who employs hundreds of West Australians has been overlooked for an airline based on the east coast? Operations, Maintence staff all working from the east coast with a minimal skeleton staff in WA. Good to see employment was top of the list for selecting an airline.